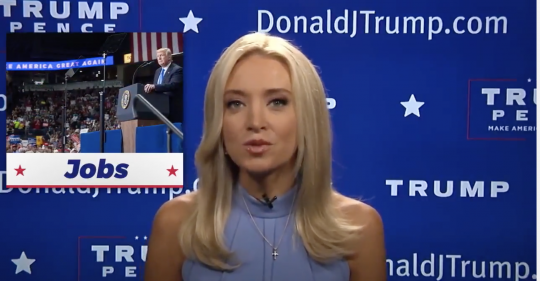 Kayleigh McEnany is joining the Republican National Committee as its national spokesman and will be a "major presence" on television for the party. McEnany formerly worked at CNN, where she frequently was the sole pro-Donald Trump commentator during the network's panel segments. As Politico noted, the Republican Party is now bringing in a prominent supporter of Trump to serve in a crucial role. "Kayleigh will be an integral part of our Party’s ongoing commitment to promoting the Republican message to Americans across the country," said RNC Chairwoman Ronna McDaniel in a statement. "Her wealth of experience will be invaluable to the RNC as we continue to support President Trump and build on our majorities in Congress as we head into 2018." "I am excited to be joining the RNC at such an important and historic time in our country," McEnany said. "I’m eager to talk about Republican ideas and values and have important discussions about issues affecting Americans across this country." McEnany left CNN last week and appeared in a "real news" video promoted Sunday on Trump's Facebook page that was modeled after an evening newscast. From Trump Tower, she read out positive stories about the Trump administration and declared things like, "President Trump has clearly steered the economy back in the right direction." Her "newscast" was derided by some critics as akin to state propaganda, while others noted it amounted to typical political spin. McEnany, 29, is a Harvard Law School graduate. UPDATE: 1:45 P.M.: This article was updated with comments from McDaniel and McEnany. This entry was posted in Politics and tagged CNN, Donald Trump, Republican Party, RNC. Bookmark the permalink.